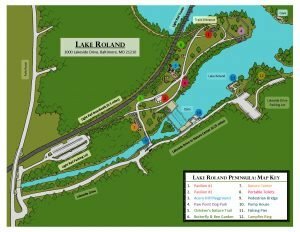 Click on the small map for a Trail Map of Lake Roland (park). Because much of the park is an environmentally sensitive area, biking is restricted to the Red Trail, Blue Trail, boardwalk, and the paved areas. Complete bicycle specific regulations can be found HERE (pdf). 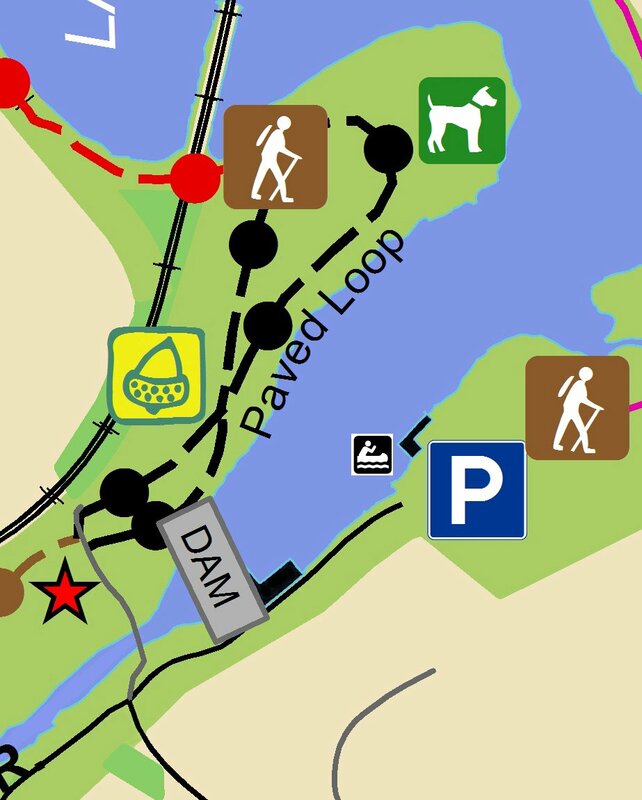 More details of the peninsula, parking, and canoe launch are available by clicking on this small map. 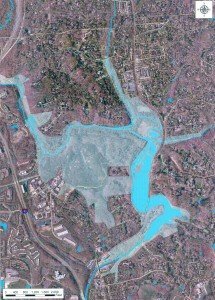 The satellite image of Lake Roland and surrounding neighborhoods is shown below. 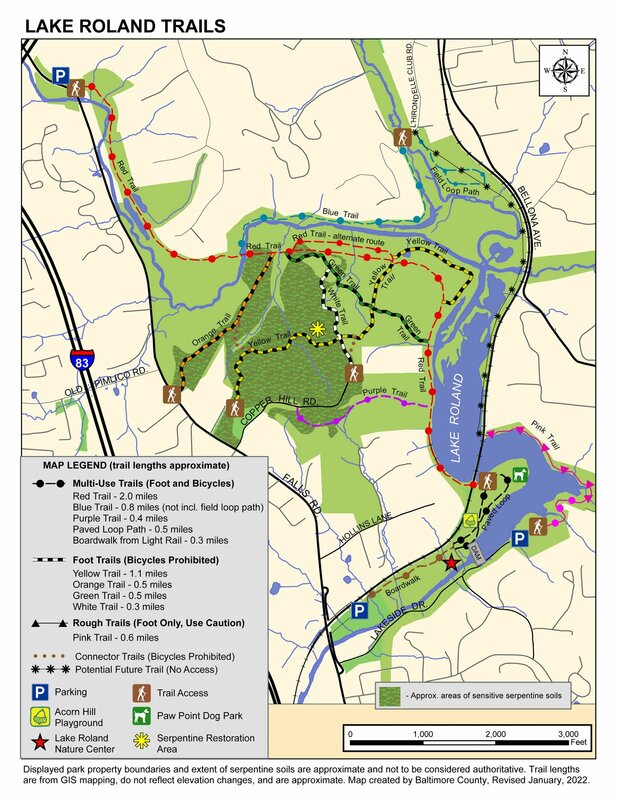 If you have hiked all the trails in Lake Roland, Baltimore County has a Walking Paths and Trails guide to numerous other locations available in the county.